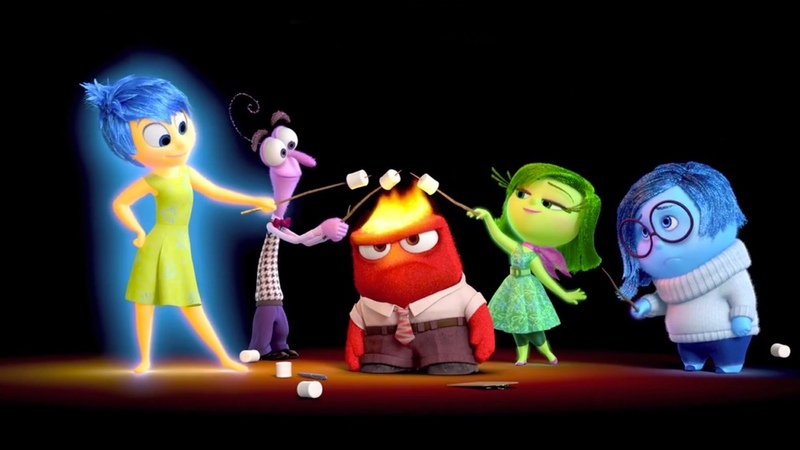 Film review – Inside Out (Pete Docter, 2015) | Cinema, etc. The latest film from Pixar Animation Studios is one I approached with considerable anticipation. There has been a reluctant feeling amongst close followers of Pixar’s output that they are now running low on original ideas as we are seeing a shift towards sequels rather than original storylines. Of the first ten Pixar motion pictures, only Toy Story 2 was a sequel. Of the following four films, only the poorly received (but excellent) Brave was an original concept. Monsters University was an enjoyable film but not a patch on the original; Cars 2 was on a par with the first installment but that just means neither are good. Only the two Toy Story sequels were both a critical and commercial success and the first of these started life as a direct-to-video sequel. So when the next few films were announced and they included Toy Story 4 and Finding Dory a lot of questions focused on how many original ideas were left in the tank. It’s cruel to be concerned in many ways, but after such a frantic amount of original ideas pumped so much life into the animation industry it was sad to think it might be slowing down. However, seeing they were releasing two new franchises was a cause for hope. The Good Dinosaur will be seen in cinemas later this year, but first up is the film set to be a summer blockbuster – Inside Out. The story is an unusual but simple one, much like all the best Pixar films. It is set inside the brain of a young girl named Riley Anderson (Kaitlyn Dias) as she is forced to move house with her parents from icy Minnesota to the slightly milder San Francisco, leaving behind her friends, beautiful house and successful ice hockey team. Her five emotions are represented by five distinctly hilarious characters: Joy (Amy Poehler), Anger (Lewis Black), Disgust (Mindy Kaling), Fear (Bill Hader) and Sadness (Phyllis Smith). Each one controls her emotional response based on how they interpret what she is experiencing, and these are converted into memories in the form of tiny glass orbs, rich in one or more type of emotion, which are stored in her mind for her to recall later. This concept is highly original and is a brilliant platform for some hilarious cutaway scenes where we see what Riley is seeing and the reaction shots of what to do with our five emotional manifestations. The most memorable case of this was a very typical family meal, into which a lot of careful consideration was evidently given to get the perfect balance between heartfelt and humour. I won’t ruin any specifics of the plot but I would recommend taking a tissue if you are liable to cry. They reach first-eight-minutes-of-Up levels of emotions. The real-life characters are highly realistic and the world in which they live is very believable. However, the one place the film lets itself down is with the character design of the five emotions. Whilst they are cutely colourful and well animated, the actual design doesn’t seem up to the standard expected from Pixar and I wonder how it got this far down the line without someone saying it needs to be improved. A couple of other characters – Richard Kind’s Bing Bong and a particularly scary clown – inhabit a wholly different world and have more in common stylistically with Aardman Animation. I can’t help think they were designed with merchandising in mind. This is truly up there with the best Pixar films, no easy achievement given they have been responsible for so many of the best animated films over the last twenty years. It’s the perfect emotional rollercoaster to ride on whilst celebrating reaching the start of their third decade in the motion picture business. Inside-Out was previewed at Glastonbury Festival on Sunday 28th June and is set for release in late July in the UK. It is preceded by the short film Lava. I actually thought Cars 2 was slightly more enjoyable than the first. I can’t bring myself to rewatch either though. I just never fancy them. Perhaps it’s just because Pixar have set themselves incredibly high standards and the two Cars films don’t match them. I didn’t watch to the end of the first film! Well done for sticking it out. 😉 You’re right. Well fortunately Inside Out is the polar opposite of that and is all about the emotions! I checked out your blog by the way. Really cool stuff. Going to look properly this weekend.